Alison has been moonlighting in the Armory for a couple weeks a summer in the last few years, very much enjoying helping kids create their dreams in weapons, armor and magical items. She is excited to delve deeper into the realm. She has been working with cardboard and puppets for the last 20 years. 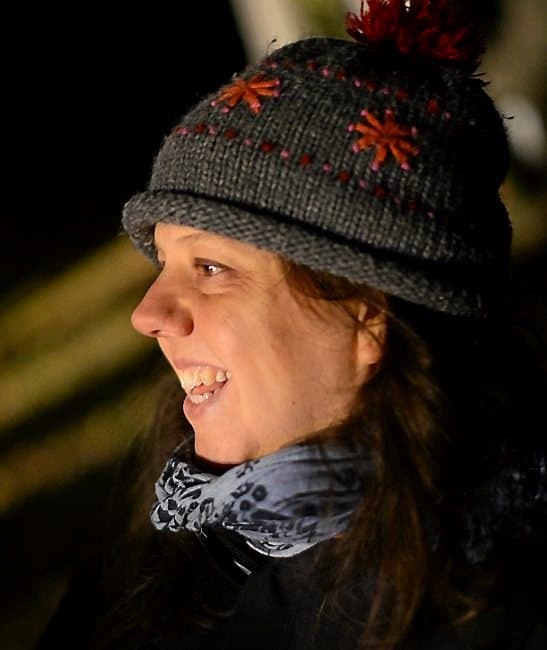 She has worked with Barebones and In the Heart of the Beast Puppet and Mask Theatre –coordinating Puppet Lab, Ta Da! The Saturday Morning Matinee Program, and the Sun Flotilla cross for Mayday. Recently Alison was an artist in residence with the Bell Museum where she research animal extinction in Minnesota and created a shadow puppet show on that topic. She carries an MFA in Puppetry Arts and Theatre Design from the California Institute of the Arts.